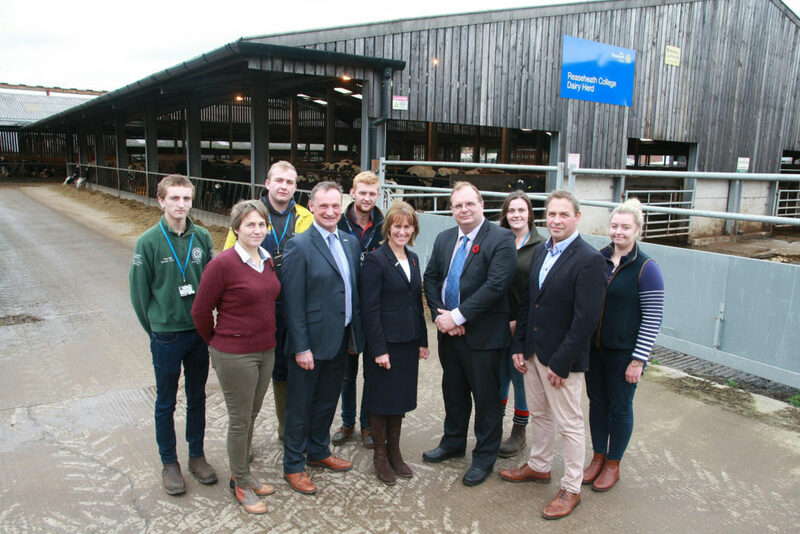 Reaseheath College agriculture students had the opportunity to discuss their concerns over Brexit and how the deal could affect their future with NFU President Minette Batters. 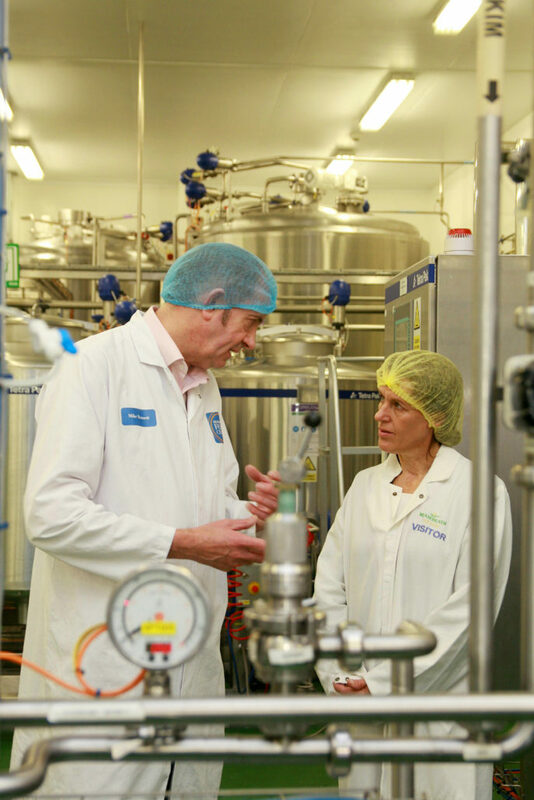 Mrs Batters, who was visiting the Nantwich, Cheshire, college, balanced the positives and negatives facing British farming during a Q&A session with Level 3 Diploma and degree level students. Describing her concerns about a ‘no deal’ scenario, she said: “We do run a high risk of crashing out and that would be massively detrimental to the farming industry. In a case of ‘no deal’ the Government is clear that the tariff wall will be lowered or dropped altogether for food coming in from the EU to keep prices stable. This is a big concern because British meat and meat products will be carved out of the EU market for six months while EU products will be allowed in without tariff. “That would be massively detrimental to British farmers, particularly in the case of lamb, because we currently trade 40% of lamb products into the EU tariff free. If the deal breaks down we won’t be able to sell into the EU, which is our closest trading partner. 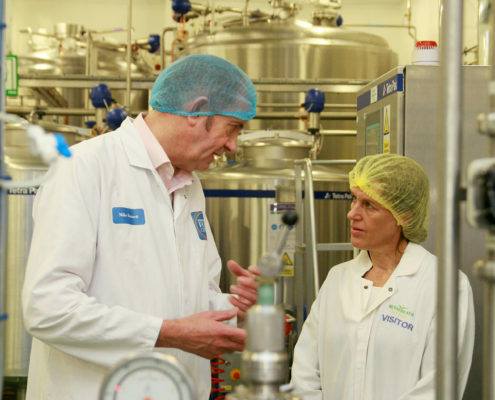 It’s further complicated because, while 60% of our food is home produced, 40% is imported – mostly from the EU. This is a critical situation and it’s crucial that we get the trade deal right. Our voices need to be heard. “On the other hand a positive result will bring opportunity for change and you as next generation farmers will take on that challenge. The more you embrace change, the more you connect with technology. “You are starting here with a fabulous foundation and there will be many opportunities in the agriculture and food supply chain. We have a population of 66 million people and the emphasis will shift onto self sufficiency. Educated next generation farmers like you will benefit because you have the skills, energy and work ethic to run successful businesses. Procurement and sourcing will become very important, and it is up to you to recognise and to follow up these markets. 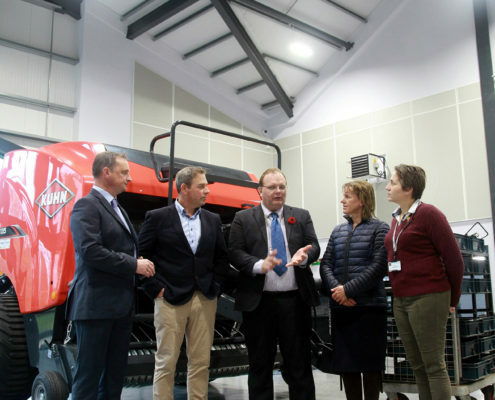 Minette was accompanied on her visit by David Hall (NFU North west Regional Director), Richard Blackburn (Deputy Chair, NFU Cheshire branch) and Louise Young (NFU Nantwich Group Secretary and Reaseheath governor). 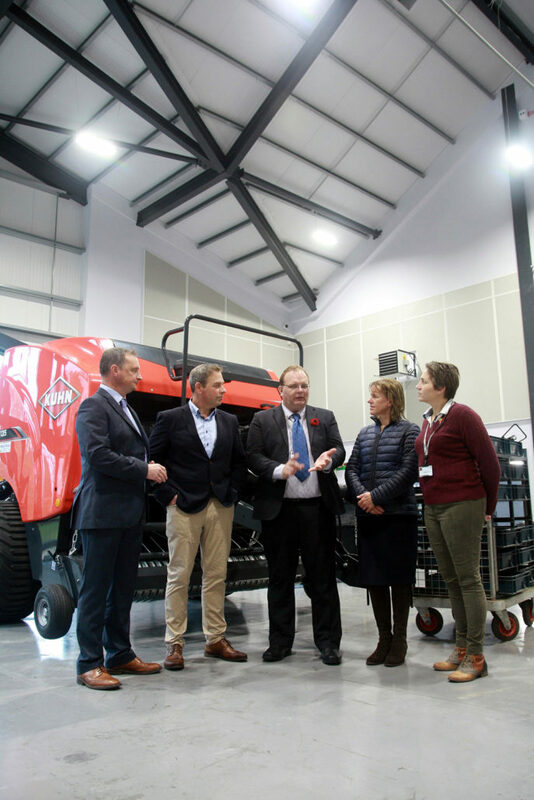 As well as visiting the college farm the group toured some of Reaseheath’s industry standard facilities including the new Advanced Engineering and Agri- Tech Centre and food processing halls. Click here to hear more from Minette Batters on an NFU podcast.